The Japan External Trade Organization (Jetro) and Middle East Intellectual Property Group (ME-IPG) have reaffirmed their commitment to curb the trade of counterfeit Japanese products in the UAE and the wider Middle East region. With counterfeit goods worth hundreds of millions being seized in the UAE every year, consumers have also been put on high alert on the dangers of using such illicit products. Speaking at a recent intellectual property event in Dubai, Jetro spokesperson expressed deep concerns of how the proliferation of counterfeit goods in the region is negatively affecting genuine businesses. According to Masami Ando, Jetro’s managing director, counterfeits inflows into the UAE, in particular Dubai, are a big concern for Japanese brands and businesses operating in the region. This, he said, is a worrying and dangerous trend which, if not tamed, could scuttle the region’s economic gains as well as expose consumers to risks associated with the purchase and use of fake goods. In 2017, fake goods worth over $76 million were seized after a sting operation by the law enforcement authorities in the city. Similar inter-agency operations conducted in 2014 and 2016 netted goods worth over $67 million and $37 million, respectively. Ando was, however, optimistic that through stakeholder forums such as Spot the Difference: The Real Japanese Brand vs The Fake activation, the war against counterfeits could be won. This IP exhibit was held with the support of the related government authorities such as Dubai Police, Dubai Economy, Dubai Customs and EIPA. The real vs fake goods exhibition brought together six Japanese companies who took part in educating participants on how to spot fake goods. Participants from all over the region were also sensitised on the dangers in terms of health and security as well as the long-term costs associated with the purchase and use counterfeit products. 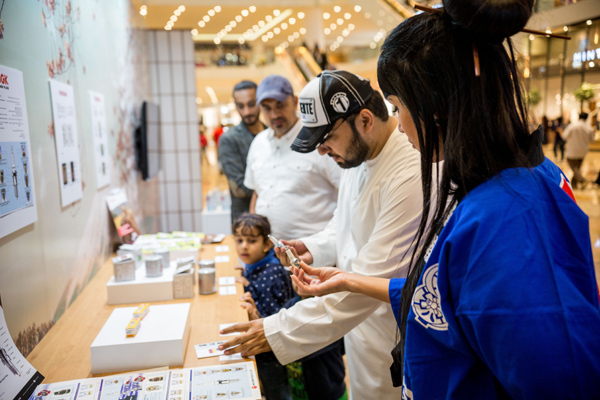 The Japanese entrepreneurs are now collectively calling on all stakeholders to strengthen the fight against Intellectual Property crimes both offline and online in a bid to protect their brands as well as maintain Dubai’s healthy and competitive business environment. With online marketplaces having increasingly become key distribution channels for fake goods, counterfeit traders are now boldly showcasing their products on social media preying on unsuspecting buyers. In 2017, the DED shut down more than 6,800 Instagram accounts for allegedly promoting and selling pirated goods. Over 3,600 accounts were previously shut down during the same period in 2016.